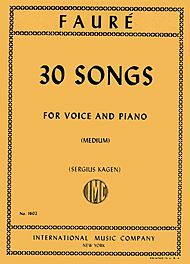 30 Songs – Medium by Gabriel Faure (1845-1924). Edited by Sergius Kagen. 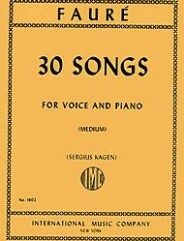 For voice and piano (medium voice). Language: French and English. Published by International Music Company (IM.1602). With Language: French and English.